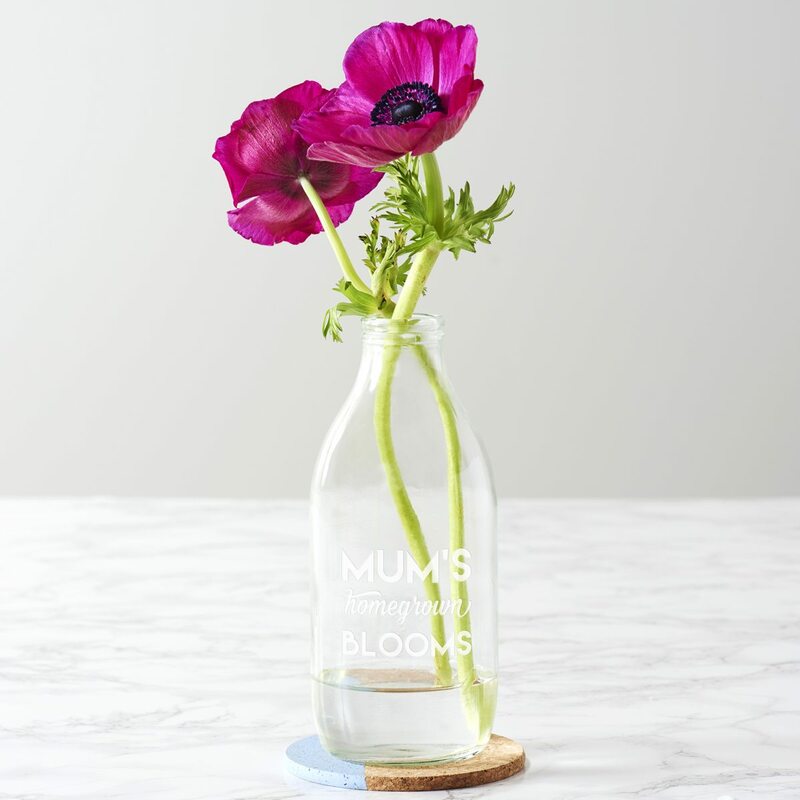 Perfect for the green fingered gardening enthusiast in your life, create a unique Mother’s Day or birthday gift which will bring the outside in. 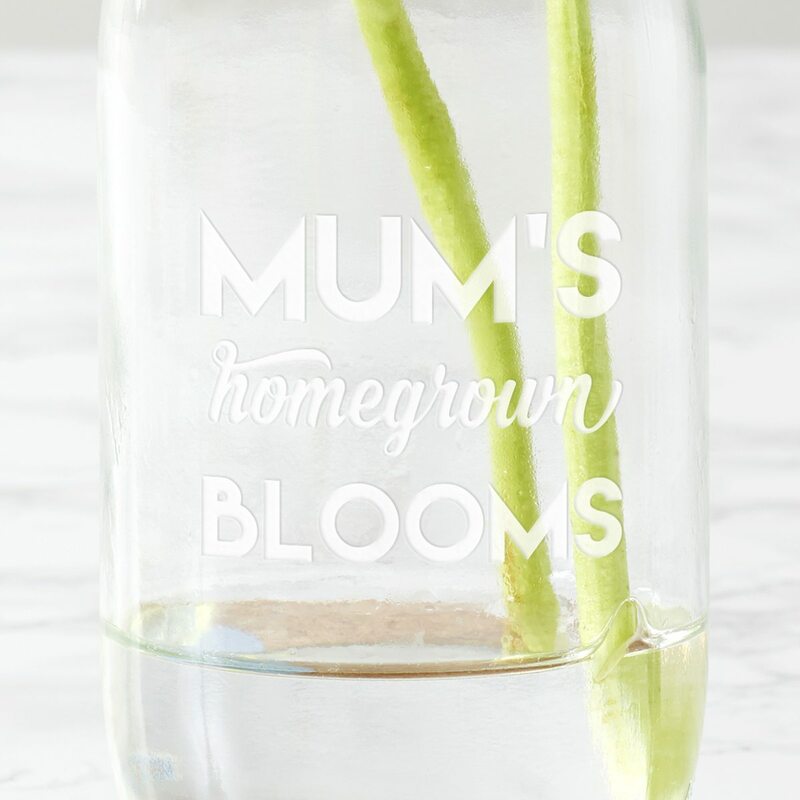 Enter up to twelve uppercase characters for your chosen name and we will etch as standard ‘homegrown BLOOMS’. We will etch exactly what you enter so please double check your spelling. Each bottle vase is hand etched at our studio in Liverpool. As standard, the vase comes wrapped in bubble wrap and is sent in a bespoke postal box.